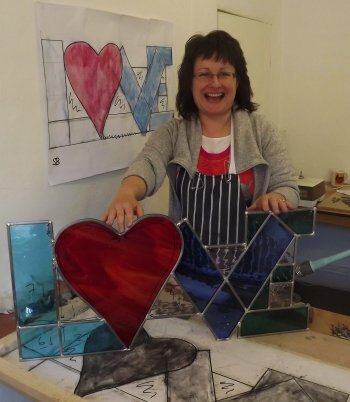 This two-day bespoke course is perfect for those with a stained glass project in mind that would take longer to create than our one-day Improvers class allows. 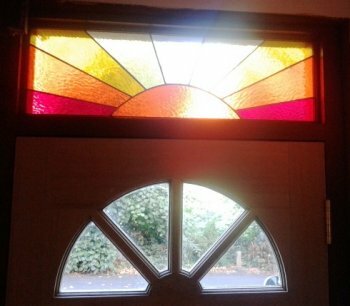 Perhaps you'd like to create a stained glass window, or you have a design for your very own piece of glass art. 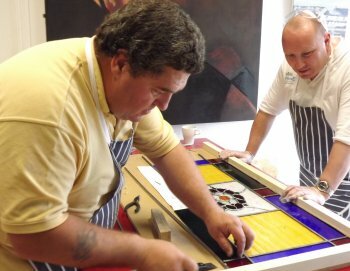 The course is open to those who've already done some stained glass - including those who have attended our foiling or leading beginners classes. This course is not suitable for beginners! The course includes a design review on a date that suits you at our premises near Milton Keynes to identify any refinements needed, to advise on mounting or installing and to help you prepare your accurately dimensioned design. We will provide telephone and email assistance to help you decide on a feasible outline design prior to holding the detailed design review with you at our studio. The course will give you the confidence and skills to tackle substantial future projects. 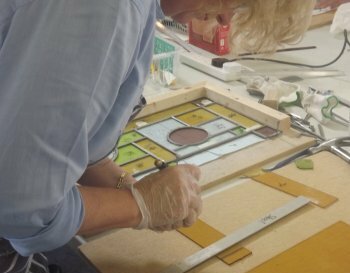 It is designed for those who have already attended a class and are ready to develop their understanding of stained glass design as well as their practical ability. If you'd like more information or to agree dates for your project workshop, please contact us. "Lots of fun and a sense of achievement"
"I can't imagine how it could be improved"
"Achieved a huge amount in a short time"
"...went so quickly, obviously because I enjoyed myself so much"